The Iraq government has given Christian leaders a commitment that it will do more to protect their dwindling followers in strife-torn areas terrorised by the group calling itself the Islamic State. Chaldean Patriarch Raphael Louis I Mar Sako, who led the Christian delegation at the November 2 meeting, said Iraqi Prime Minister Haider al Abadi voiced sadness over the exodus of Iraq′s Christians. The Fides Catholic news agency reported that Mar Sako said the bishops appealed to the prime minister to free the territories that have fallen under the control of IS. Prime Minister al Abadi repeated several times he personally feels responsible for the protection and defense of Christian citizens also," Mar Sako said. "He deplored the phenomenon of the exodus of Christians, defining it as a great loss to the nation." Al Abadi explained that the solution to the IS problem should not be merely confined to military action as the matter needs a long-term approach so as to achieve a sustainable peace in the region. Mar Sako said the prime minister looked at the possibility of showing what he called the "true face of Islam," which he described as very mindful of the dignity of non-believers. "With much realism he acknowledged that military action will not be enough to solve the problem and that, in the long run, a process that removes the roots of the phenomenon, and brings out the true face of Islam open and respectful of all rights should be encouraged," said Mar Sako. Christian leaders in Baghdad also highlighted several new violent incidents against their ranks. The Chaldean patriarch recalled that he learned about some Christians being kidnapped by criminals, while houses of Christians had been seized by criminals as well. For his part, the prime minister pledged to implement more security measures in the areas where trouble brewed constantly, according to the Chaldean patriarch. "The Prime Minister has promised that he will enhance the presence of military units in the neighborhoods, and also said he was willing to co-opt another Christian minister in the government," the patriarch said. 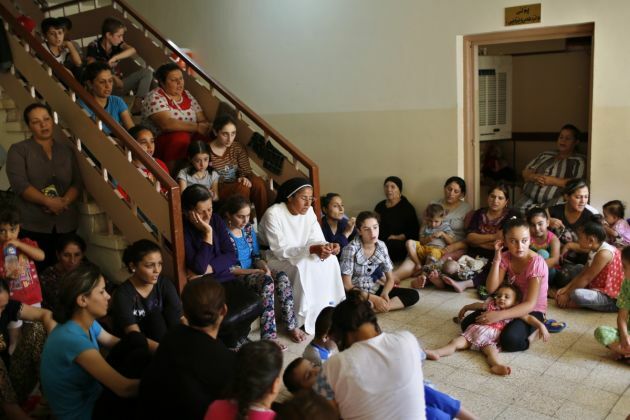 Thousands of Christians have fled Iraq as they were being targeted by IS members who want to set up a caliphate in the country.